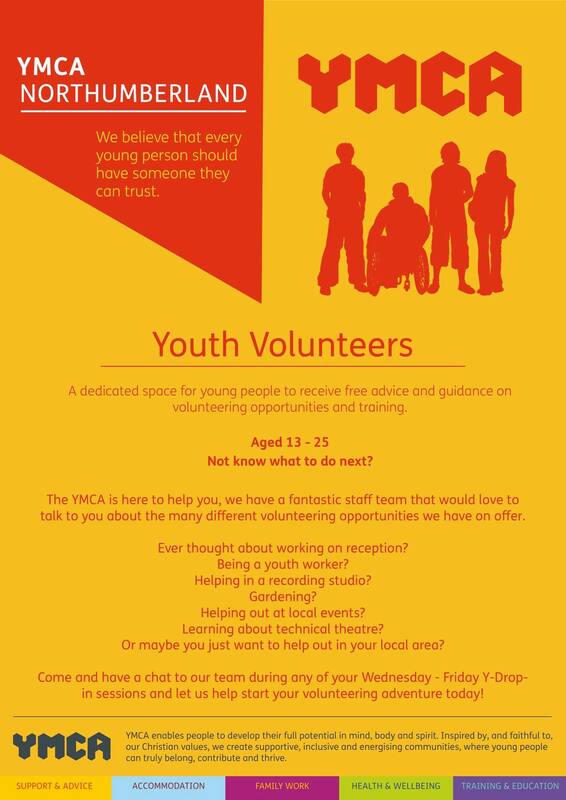 At YMCA Northumberland we take an active, tailored approach to volunteering. We like to establish what our volunteers like doing, what they are good at and who they would like to help. If you are between jobs and want to keep busy in the meantime, perhaps you want to add some valuable work experience to your CV or simply have some spare time and would like to help others, we would like to hear from you. Many volunteers come to us with very little idea of the variety of our work, however, we will do our best to find an option that suits you. The above list is not exhaustive – if you have skills or experience in other fields and would like to volunteer, get in touch. If you would like more information about volunteering with YMCA Northumberland, please email send an email to admin@ymcanorthumberland.org.uk or contact 01670 857167.